I am in the garden every day. Always in search of the best garden tools to have or at least inexpensive garden tools. 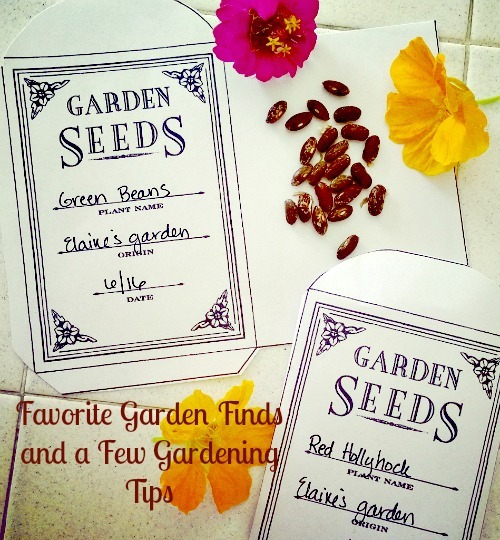 Here are a few favorite garden finds and gardening tips from my own yard, Easy Printable Seed Packets, Keep Critters From Your Vegetables. I am loving these Printable seed packets. I just printed them up and am saving lots of seeds from our garden. They make nice little gift tags too. 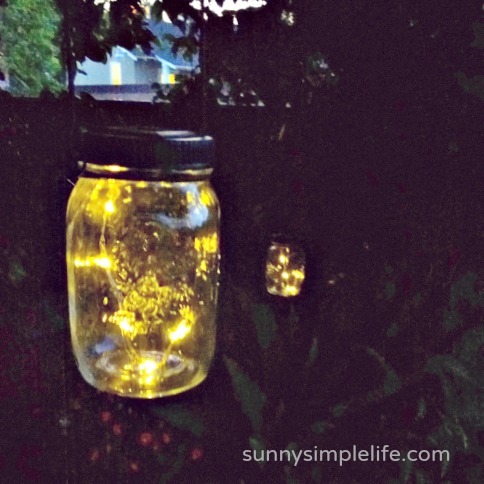 I am in love with these solar firefly jars I found at my local grocery store. We have five hanging from the trees around the patio and every night they come on and twinkle like little fireflies. I found some lids on Amazon that it looks like you can make your own from. 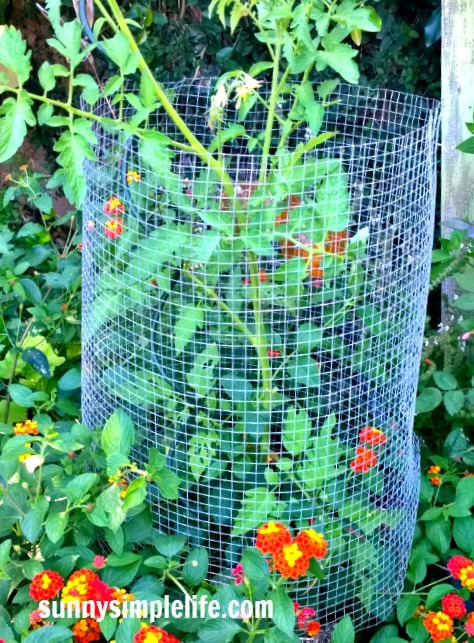 We have on planter along the back fence that the critters like to nibble the veggies. Now that grosses me out greatly plus I don't want to see pests eating my garden produce. 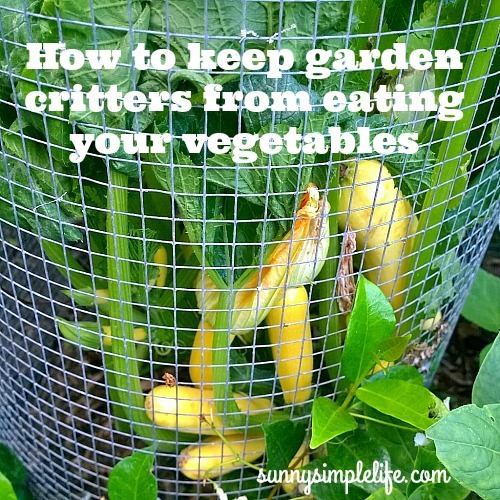 Keeping rats out of garden, and squirrels from eating your hard earned vegetables is a real problem. I came up with the idea of using the quarter inch hardware cloth (which is actually wire) and making a circular form with the top and bottoms over. I just slip it over the young plants and let the plant grow and harvest my vegetables from the top. What a little sweetie holding the pups. I love that big grin. Thanks for the tip about the wire, that might work for us. Your little pups are adorable. I don't know what I like best the jars or the sweet smile.